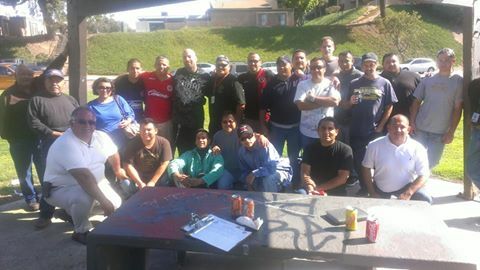 Doncaster employees in Chula Vista, CA celebrate their decision to be represented by IAM District Lodge 947. A group of 154 workers employed by Doncasters Group Ltd. in Chula Vista, CA have voted decisively to be represented by IAM District Lodge 947. The workers manufacture precision components and assemblies for aerospace, automotive and various other industries. “These brave workers were tired of being treated unfairly by their employer,” said District 947 Organizer Nick Fernandez. Western Territory GVP Gary Allen congratulated the team, headed by Grand Lodge Representative Joel Ochoa. Critical to the success of the campaign was DL 947 P/DBR Richard Sanchez, DL Organizing Leader Felix Osuna, DL Organizer Nick Fernandez, and DL Organizer Jason Hardwick. DL 725 Organizing Leader Brian Miller was also key to the victory.